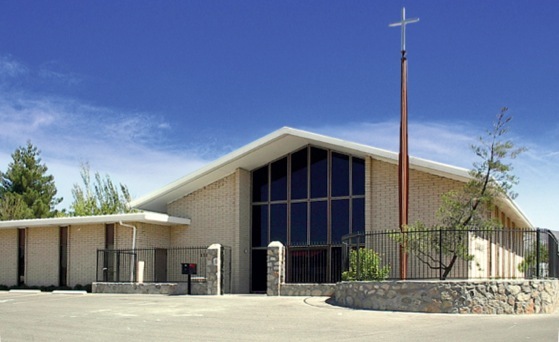 We have been meeting and serving the Lord in El Paso since 1971. Coronado Christian Church, through the guidance of God, seeks to be a Christ-centered and Spirit-filled congregation in which the Word of God abounds and is extended into the community through the lives of its members. All who have committed their lives to Christ in faith are eligible for membership. We believe that as individual members, in all stages of life and in all walks of life, we must continue to grow in grace and in the knowledge of our Lord and Savior, Jesus Christ. We encourage daily Bible study, Biblical meditation, prayer, and Christian living, and we look forward to Sundays as we gather together as the body of Christ for Bible study, worship, and encouragement for another week of challenges and opportunities. The Lord’s Supper or the sacrament of the Holy Communion is observed as instituted by Christ with His disciples in the upper room on the night of His betrayal (Matthew 26, Mark 14). The pastor’s sermon, also a vital part of our Sunday worship, is Biblically based with an emphasis on its practical application in our daily living. Christian music also plays an important part in each worship service. The Church does not conduct pledge drives. We believe that people should give to the Lord a portion of what God has given them, and that is a private matter between the Christian and God. Baptism is also a sacrament that we observe as instituted by Christ and commanded of His followers (Matthew 28). Those not already baptized may request to be baptized at the time of being received into membership. We practice baptism by immersion since we believe that it more aptly signifies Christ’s burial and resurrection and the believer's death to the self-centered life and his resurrection to a new life in Christ (Romans 6). Those already baptized in a different manner need not be re-baptized. Letters of transfer are not required. We do not believe that it is the function of the Church to become involved in political or social controversy. We do feel, however, that it is the responsibility of each member to become well-informed to act as a responsible and responsive citizen at all times. We invite you to join us this Sunday for Bible Study and Worship. Feel free to call us atn915.581.5596nif you need more information.